PETER Dutton's political enemies say his job should "be at an end" today, but he has avoided a no confidence vote by just one vote. GREENS MP Adam Bandt has moved a motion of no confidence in Home Affairs Minister Peter Dutton. Mr Bandt, backed up by yesterday's damning report from the Senate committee that investigated Mr Dutton, argued the minister misled parliament when he claimed he had no personal connection to anyone involved in the au pair saga. The committee concluded that was untrue in the Brisbane case, involving an Italian nanny, Michela Marchisio, who was detained at the airport in 2015. It should be noted that three Labor senators sat on the committee, along with two from the Coalition and one from the Greens, so the government was in the minority. "There's a golden rule in this place if you are a minister. Tell the truth. Don't mislead the parliament," Mr Bandt said as he rose to speak for the motion of no confidence. "It is now crystal clear ... when the minister told parliament he didn't know anyone, he did. He did! "He has been caught out. And that is why nothing could be more important than suspending standing orders to deal with this before Question Time. "This is not about whether you agree with the decisions the minister has made. This is about whether ministers in this government can be trusted to tell the truth to the House." Pitching to backbench Coalition MPs, Mr Bandt said passing the motion would not affect the numbers in parliament, but would simply be "a clear message that this minister is no longer fit to sit on the frontbench". The no confidence motion is unlikely to pass. The government has the numbers in the House, so one of Mr Dutton's own MPs would need to defect and vote against him. But the details that emerged yesterday did not help the minister's cause. Around the time the report was published, 169 pages of emails were released, showing the urgency with which Mr Dutton's office dealt with the two au pair cases. His office asked the department to prepare a briefing on Ms Marchisio on June 17, 2015. Immigration officers had discovered she planned to work while on a tourist visa, and she was scheduled to be deported that night. HOME Affairs Minister Peter Dutton is facing the perilous prospect of a no-confidence vote in the House of Representatives today as the au pair visa saga threatens to derail the government again. Yesterday the Senate committee tasked with investigating Mr Dutton's conduct delivered a damning report, which concluded he had misled parliament. Three Labor senators sat on the committee, along with two from the Coalition and one from the Greens. 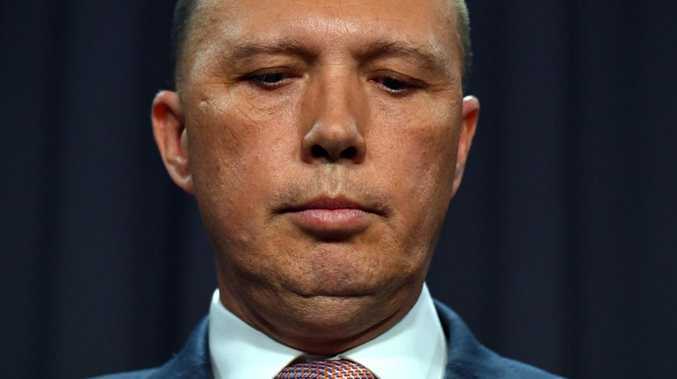 Mr Dutton insisted on multiple occasions, including in the House, that he had no personal connection to anyone involved in two tourist visa cases where he used his ministerial powers to intervene on behalf of the au pairs. Mr Dutton's former Queensland Police colleague Russell Keag asked for his help on behalf of Ms Marchisio. According to the minister, he had not spoken to Mr Keag for 20 years. He has branded the Senate inquiry a "witch hunt". 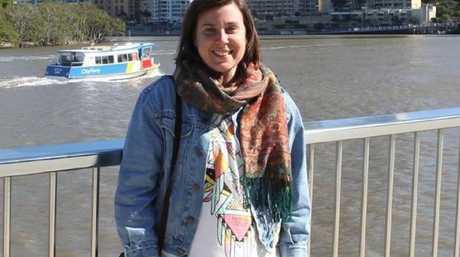 Italian au pair Michela Marchisio in front of Brisbane's Story Bridge. "It is the view of the committee that Minister Dutton had a clear personal connection and existing relationship with the intended employer of the au pair in the Brisbane case," the report concluded. 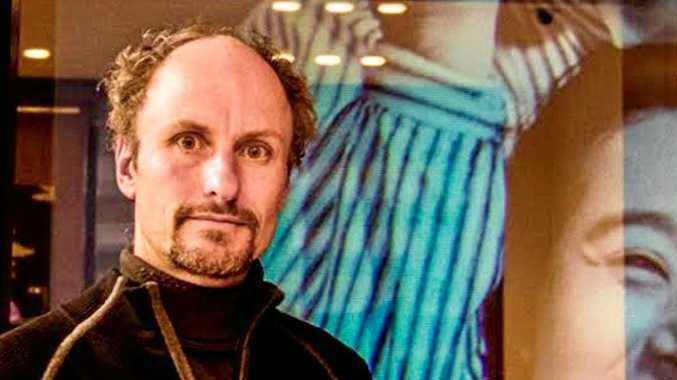 In March, Greens MP Adam Bandt asked Mr Dutton whether he could rule out "any personal connection or any other relationship between you and the intended employer of either of the au pairs". "The answer is yes," Mr Dutton responded. Mr Bandt is expected to move the no confidence motion against Mr Dutton today. He says if it passes, Mr Dutton should resign. Speaking this morning, Labor's Anthony Albanese said Mr Dutton's position as minister "should be at an end and it should be at an end today". "He should do the right thing and resign," Mr Albanese said. "If Peter Dutton doesn't resign himself, what he will be doing is trashing the institution of parliament, trashing the rules and conventions under the Westminster system." Shadow Immigration Minister Shayne Neumann echoed those comments on the ABC. "Misleading parliament is a serious and sackable offence. Therefore, we're calling on the Prime Minsiter to do the right thing," he said. But the government is pushing back hard. Speaking to Channel 9, Prime Minister Scott Morrison backed his embattled minister. "Labor and the Greens passed a motion that they don't like Peter Dutton anymore. The Labor Party and the Greens are just using their numbers to try and play politics. I won't get distracted by it," Mr Morrison said. "The Labor Party is going on about stopping the au pairs. We are about stopping boats, bikies and criminal gangs. If the Labor Party thinks that the worst thing that can happen in Australia is that an au pair will come and read a bedtime story, that tells you what they think of national security." His office asked the department to prepare a briefing on Ms Marchisio on June 17, 2015. Immigration officers had discovered she planned to work while on a tourist visa, and she was scheduled to be deported that night. "This is urgent. The minister requires this submission tonight, preferably in the next hour as he has an appointment at 7:30pm," an email from Mr Dutton's office read. Ms Marchisio was released from detention that night. In the other case, involving an au pair detained in Adelaide, Mr Dutton intervened against the recommendation of his department. The Senate committee's chairwoman, Labor's Louise Pratt, spoke to ABC's News Breakfast program. "The kind of service that we saw these cases get was absolutely extraordinary," she said. "The only reason this ministerial intervention request came forward was because the minister's office themselves put the request forward. Normally those requests come through migration agents and they have to go through the department." Mr Dutton could also face an attempt by Labor to force his referral to the High Court, to definitively determine whether he is eligible to sit in parliament. When parliament last voted on the issue last month, Mr Dutton survived by a margin of one vote - his own.